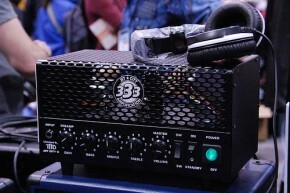 Jet City’s Pico is what’s known as a “lunchbox” amp. The nickname refers the head’s compact size—it resembles the kind of pail those of a certain age once used to haul our baloney sandwiches to school. The whole concept of the lunchbox amp is appealing. Its small size and light weight are great attributes for those of us who’ve spent decades hauling around heavy tube combos (and worse, heads and cabs). 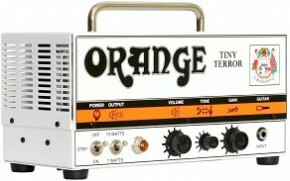 But this little guy can get cranked without getting you yanked by your landlord. It’s not really loud enough for gigs unless you mic it through the P.A., but it’s fine for rehearsal and perfect for the recording studio. 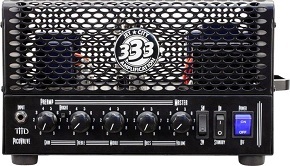 Jet City Amplification is a new company, but the people behind it are no rookies. Their amps are designed by long-time friends Michael Soldano and Andy Marshall (no relation to the British amp company). Soldano is a co-founder of JCA and was one of the pioneers of the boutique amp movement who went from modding stars’ hardware to having his own line of high-end amplifiers. Marshall’s bona fides come from his work with THD, one of the most innovative purveyors of tube tone. The PicoValve produces either 2 or 5 watts of tube goodness and can feed a variety of cabinets. I tested it with a Jet City JCA12XS cabinet equipped with one 12” Eminence speaker and a Marshall 1960 4×12 cab loaded with Celestion Greenbacks. The great thing about the Jet City cab, by the way, is that it’s convertible from an open back to a closed back. The amp’s innards are exposed, so you can see its two 12AX7 and single 6L6 through a study metal cage, which gives easy access to the tubes (we’ll get to why in a minute). A built-in metal handle on the side makes the amp easy to carry. The PicoValve is also the essence of operation simplicity: The single-channel amp’s front panel sports controls for Gain, Treble, Middle, Bass, and Master Volume; a switch that toggles power output between 2 and 5 watts; and the Power and Standby switches. The controls are nicely spaced, well labeled, and feel like quality components. The rear panel has a standard grounded power plug connection and three ¼” speaker outs: 4, 8, and 16 ohms. This allows the amp to feed just about any cabinet you’re likely to find. Low-watt amps are great because they reach that much loved power-tube saturation at a reasonable volume, but there’s a reason pros don’t just use them miked through a PA. The novelty wears off when you realize that having one great saturated sound may not be enough to get you through a gig. That’s where the PicoValve separates itself from the usual lunchtime crowd. Its three-band EQ complements the Gain and Master controls to let you dial in many tonal flavors, including some pretty tasty clean sounds—especially with the bright switch engaged in 2-watt mode. Of course, you can get that Wicked-Witch-in-mid-meltdown screams; but even then, the scream can be dark, bright, grinding, or singing, depending on how you set the controls on the amp and, just as important, what guitar you’re using to feed it. With the amp set to 5 watts, I plugged a Telecaster equipped with a neck humbucker and a vintage stack bridge pickup into a reverb pedal, fed the pedal into the PicoValve’s input, dialed in a boarderline crunch sound, and started jamming. As expected, dialing back the guitar’s volume control cleaned up the sound, and switching pickups and attack made the tone brighter, warmer, etc. But then I noticed that when I was full out on the bridge pickup, the reverb seemed wetter. The effect was different when the neck ‘bucker was cranked. The amp was responding to the hotter, brighter bridge p’up and compressing a little more in the upper mids. The harder I played, the bigger the sound got; it really was like having a new set of controls embedded in my fingers. It’s also worth mentioning that the Tele test took place during a full band rehearsal with drums, bass, a one-man horn section, and harmonica (and boy, was the harp player jealous). While not loud, the PicoValve held its own and was able to produce “pushed” clean sounds at enough volume to get through a set of blues and jazz that involved both soloing and comping for horns, vocals, and harp—and with nary a booster or overdrive pedal in sight. If you think such subtlety is for sissies, set the amp to 2 watts. The sound is even more compressed and the crunch comes on faster. Throw a hot humbucker at the PicoValve and pin both Gain and Master Volume, and you’ll sound like you’re tearing the roof off—without actually disturbing so much as a spider’s web. Anyone who’s used a tube amp knows that those glowing valves (as the Brits call them) must be changed every so often. Usually, the replacement tubes must be of the same type—especially power tubes. However, using circuitry developed by THD, the PicoValve lets you swap the 6L6 for any other octal power tube that fits the same socket (such as an EL34) without re-biasing the amp. Swapping is easy. Unplug the power, pop off the top, change the tubes, and replace the cage. Takes no time. Power up and rock out. The little Jet City PicoValve has all the mod-retro vibe you’d expect from a 21st-century tube amp, but it’s not just a looker. Its ability to respond to the core tone of every guitar I fed it helped me wring more nuance out of my instruments and—therefore—performances. It’s quiet enough for studio use, and the working player will love the fact that it can feed speaker cabs of different impedances. I like being able to perch the head on my studio desk and feed a cabinet down the hall for better recording isolation. 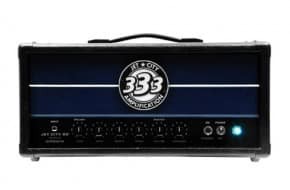 This Jet City lunchbox delivers great tone at an incredible price, and that’s a welcome addition to any menu. 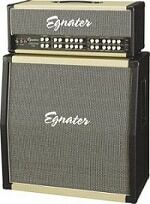 This kind of amps are my favs. I don’t like to carry big stacks, but I like tubes – so small tube stack and good mic is my way to go. I thought clicking on http://gear-vault.com/girls-guitars/ above tag would take me to some stupid, shallow, sexually driven skin heavy ‘girl’ pic-heavy site. It did and wow, it is hot!!! OK, I am stupid, shallow, sexually driven by skin heavy pic sites!! !